Kellogg Community College’s men’s and women’s cross-country teams competed in their first official conference meet Friday at Hanson Hills Recreation Area in Grayling. The women’s team took third place out of seven teams and the men’s team took fourth place out of nine. Results for each team are below. KCC’s men’s cross-country team finished in fourth place out of nine teams, finishing just two points behind third-place Alpena Community College. Individual times and places out of a total of 69 runners are below. See complete results from the men’s race online at http://mccaa.org/sports/mxc/2018-19/files/Results/18firebirdmxcmeet.pdf. KCC’s women’s cross-country team finished in third place out of seven teams. Individual times and places out of a total of 51 runners are below. See complete results from the women’s race online at http://mccaa.org/sports/wxc/2018-19/files/Results/18firebirdwxcmeet.pdf. The Bruins run next at the Lansing Invitational Friday, Oct. 5, at Grand Woods Park in Lansing. The women’s 5K starts at 1:30 p.m. and the men’s 8K starts at 2:15 p.m. Click here for more information about the race. 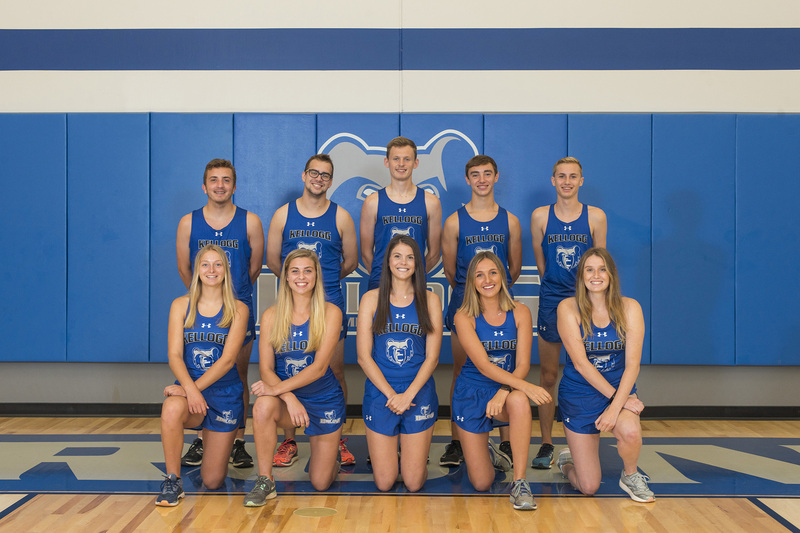 For more information about KCC’s cross-country teams, contact Head Coach Erin Lane at 269-965-4151 or crosscountrycoach@kellogg.edu. For more information about men’s cross-country at KCC, you can also visit www.kellogg.edu/mens-cross-country. For more information about women’s cross-country at KCC, you can visit www.kellogg.edu/womens-cross-country.